Motivational letters have their own relevance and the significance in their respective fields, be it the employment sector or the educational sector. 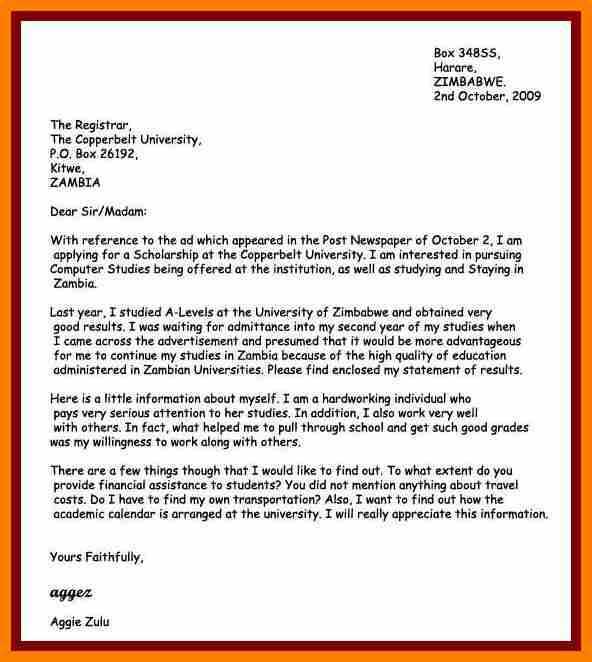 In the educational sector, the motivational letters are often required by an educational University, or the other institutions at the time of granting the admission to the interested candidates. If you have completed your graduation and now and looking ahead to pursue your masters from any of the renowned educational institutions, then you may be asked to provide the motivational letter for your masters to that particular institution. 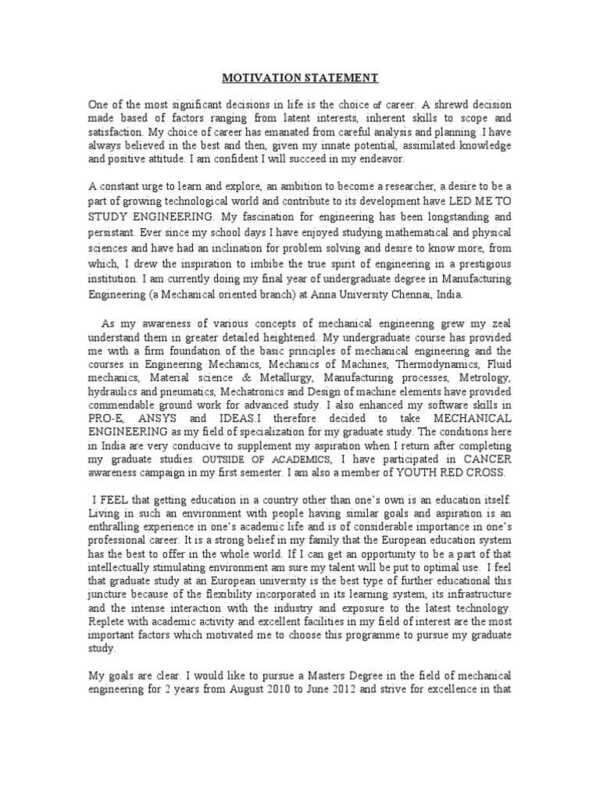 This motivational letter is asked by the institution so that they can asses, as if what is motivating you to study the particular master’s program so that you can be granted the admission there. You should be having the appropriate information of the University or other educational institution from where you are willing to pursue the Masters since without knowing the University well you can’t write the letter well covering all the aspects. Once you gather enough information about the University and the Master’s program of that University, then you need to plan all the points well which you are going to cover in the letter. 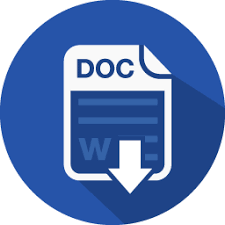 So, if you need to write the motivational letter for your masters but you are not having any clue, as to how you should be starting writing this letter then we can help you with that in this article. 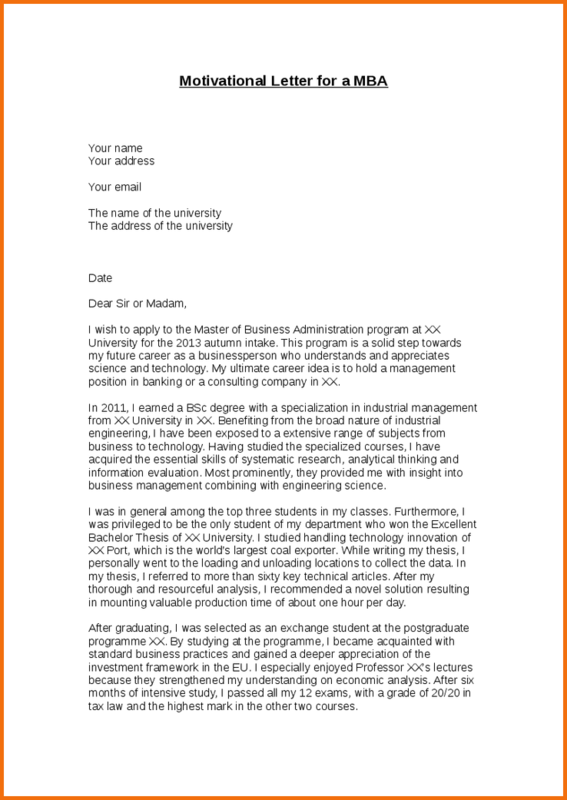 Here below we are going to discuss the important aspects of this letter and would also guide you, that how you can cover them in your motivational letter and get your seat reserved in the particular institution. 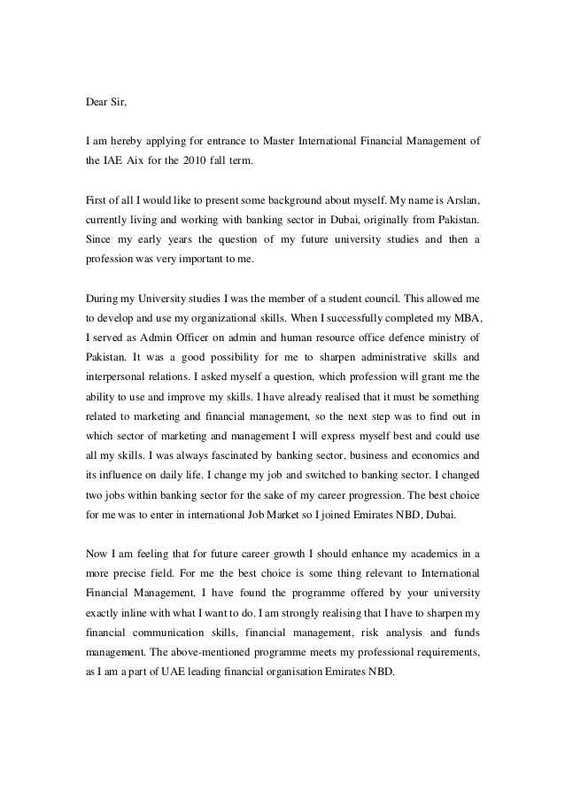 In this introductory part of the letter, you are going to start by greeting the admission authority of the University and then provide some basic information about yourself. The most important part is the objective of the letter, and hence you should be writing the objective of the letter in clear words. You can be personal while providing the basic information about you in the introductory part and remember you need to provide this information in a distinguished manner so that you can be proven as a different and the suitable candidate for the master’s program. You can write out the certain aspects of your personality which depicts that you are a worthy candidate for the program. In this part, you need to elaborate on the main objective of the letter and hence start by mentioning that how you came to know about the master’s program of the University and how it touched your concern. You can add up some basic information that you have about the concerned educational institution or the University and its master’s program so that the admission authority can become sure that you are aware with the basic aspects of the University. Now the other most important part of the letter is to mention and prove why you have made your decision to study the particular master’s program from this University. The admission authority keenly wants to know that what’s attracting the candidate to have admission into that University. You can mention the few major points which you find are special about the master’s program from that University and how it is suiting your interest. Further write that what has been inspiring you to continue your studies further in that master’s program, and what are your future career prospects in that direction. This is the closing part of the letter and in this part, you need to summarise your objective of the letter in the same manner. Mention in the letter that you understand the prestigious and the level of educational standard of the University, and if you are granted admission into the University then you are going to prove the same excellence in your future prospects. At last, you can end the letter with your regards to the University and mentioning that you are really looking forward to having the student interview with the admission officials of the University to prove your interest in the master’s program. It is advisable to keep the letter as short as you can and don’t make any kind of grammatical mistakes in the letter since it can prove your wrong image in the views of the admission officials. 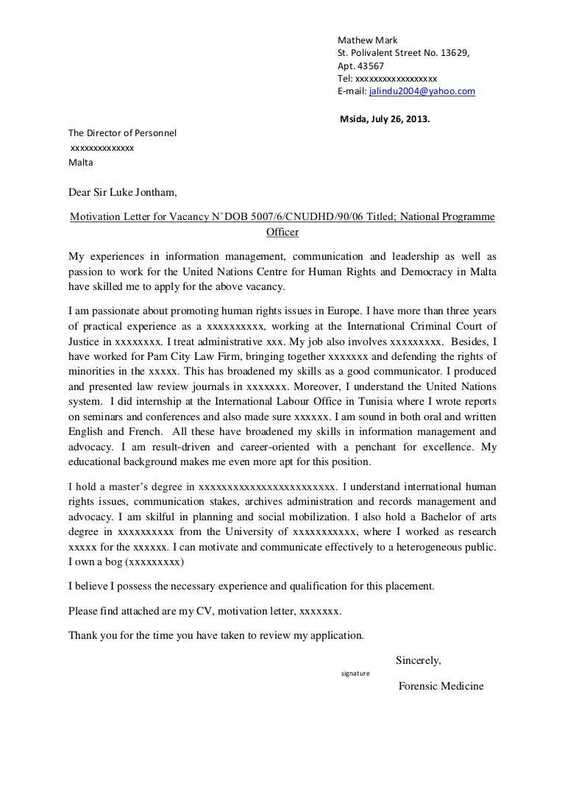 Here below we are listing some other points which you need to consider overall in writing the motivational letter. Make your objective of the letter very clear so that it can be easily understood by the University’s officials. Provide your educational background in a manner that it can be appealing to the master’s program of the University. State in the clear words that how the University’s master program is most suitable for you. Show up your keen interest in the Master’s program and state how it is going to help you in your future career’s perspective.